Industrial disasters claim thousands of lives every year around the world. Most are caused by poor facility construction or design or large fires or explosions that scorch down the buildings. Last year, 42% of disaster events were man-made disasters including major fires or explosions in industry factories or warehouses. We focus on 7 of the deadliest industrial disasters that occurred within the last two decades. These 7 different disasters occurred in 6 different countries around the world and have affected innumerable lives. The industrial disasters listed below were caused by industrial companies, either by accident, negligence, or incompetence and have caused great damage, injury and loss of life. This disaster served as a huge wake up call to those in the manufacturing and garment industries. 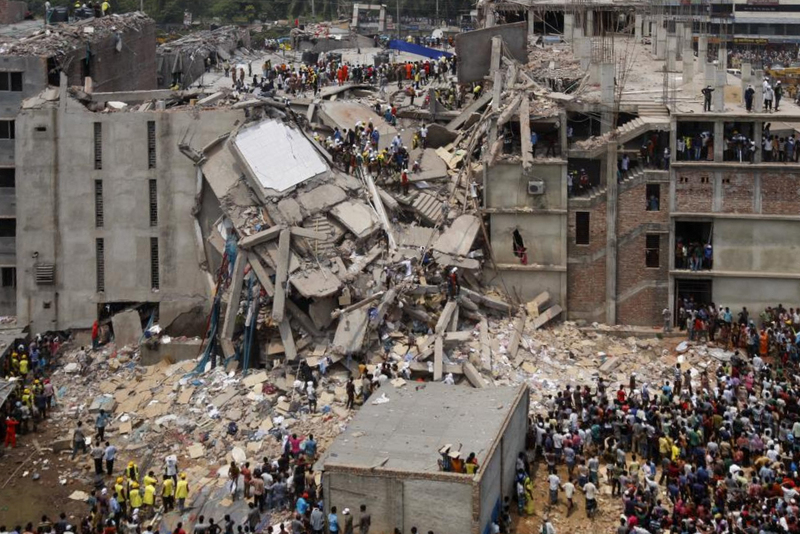 On April 24, 2013 the eight-story building outside Dhaka, Bangladesh collapsed, which housed five garment factories that manufactured goods for major retail companies in Europe and North America. The cause of collapse is attributed to shoddy construction. The building had too many floors and too much heavy equipment for the structure to withstand. Damage: The collapse killed 1,132 garment workers and injured thousands. Cost: The incident shook Bangladesh’s $28 billion garment industry, which was the second largest in world behind China. The government owes at minimum about $970,000 in compensation to the workers’ families. Workers at an automotive factory in Kunshan, Jiangsu, China faced a horrific dust explosion on August 2, 2014. The factory was owned by Zhongrong Metal Production Company and produced car parts for several American companies, including General Motors. Damage: The explosion killed 146 workers and injured 114 others. Cost: The county of Jiangsu had been declared the best county for its economic performance by Forbes for 7 years in a row until the blaze. The Tazreen Fashion factory employed over 1,500 workers when it opened in 2010 outside of Dhaka, Bangladesh. The factory produced t-shirts, jackets, and other clothing articles for various global retailers like Sears and Walmart. 2 years later, November 24 marks the horrific fire that scorched the factory for more than 17 hours. The fire started on the ground floor of the eight-story building, trapping workers on the floors above. 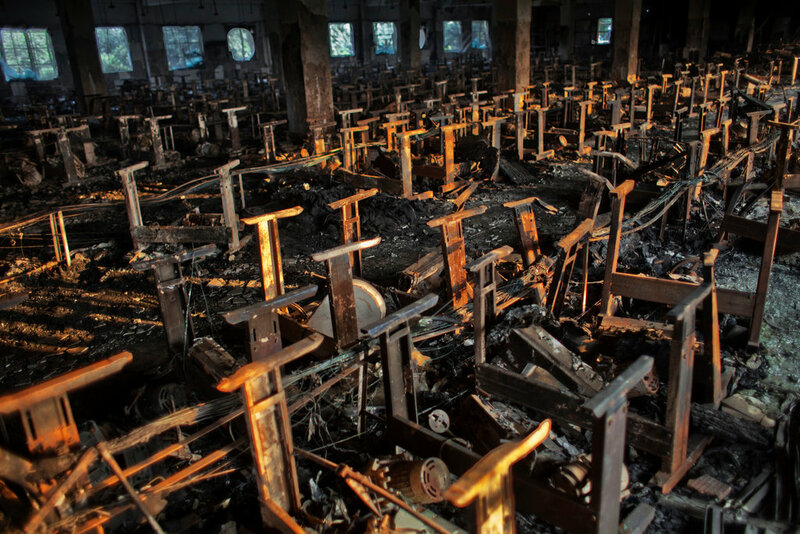 The factory is one of about 4,000 similar installations in Bangladesh operating with minimal safeguards against fire or industrial accidents. Damage: The fire killed at least 111 people and sent tons of workers to the hospital for treatment of burns and smoke inhalation. Cost: Survivors of the fire are still suffering from injuries and loss of income. 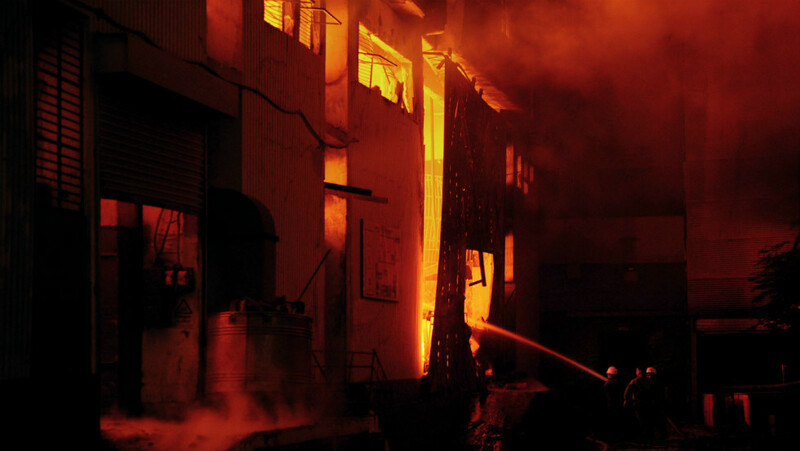 Pakistan’s worst industrial accident occurred on September 11, 2012 when a fire tore through a textile factory complex in Karachi. Barred windows and locked exits trapped workers in the four-story building. Damage: More than 300 workers were killed. Shock: The textile industry accounted for 7.4 percent of GDP in 2011. This industry didn’t suffer after the disaster but instead continued to increase, contributing 9.5 percent to the GDP in 2013. On November 3, 2004 two employees at the N.P. Johnsens Fyrværkerifabrik fireworks factory accidentally dropped a box containing fireworks causing the fireworks to ignite. By the time the firefighters arrived onto the scene, the blaze was too intense and forced them to flee the scene. The container of fireworks finally exploded nearby 280 net tons of fireworks in the warehouse. The disaster spurred from not just one but multiple violent explosions. Damage: One firefighter died; 7 from the rescue team and 17 locals were injured; 2,000 people from the immediate surrounding area were evacuated. Cost: 8 fire and rescue vehicles were destroyed; 355 houses in the surrounding area were damaged and 176 of them were uninhabitable. In total, over 2,000 buildings were damaged by the explosion. The cost of the damage estimated 100 million euro. 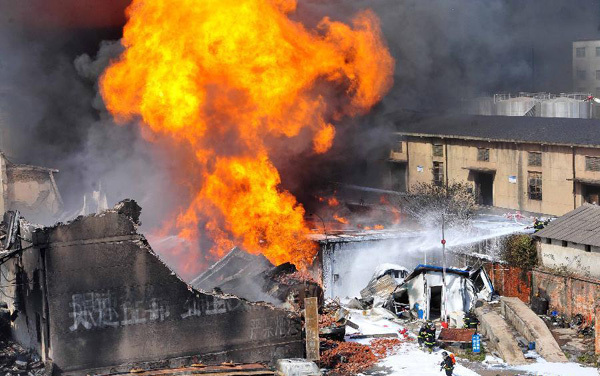 On May 11, 2004, petroleum gas ignited in a corroded pipeline and caused the massive explosion that largely destroyed the Stockline Plastics Factory. Located in Glasgow, Scotland, the factory was owned by ICL Plastics so the majority of work in the factory was for ICL. Roughly 100 people worked in the four-story building, which collapsed immediately following the explosion. 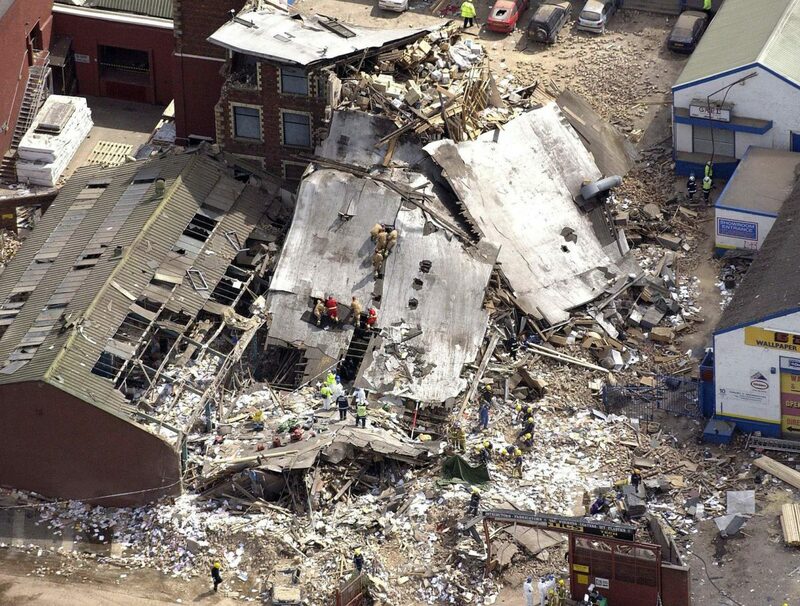 Damage: The blast killed 9 workers and injured 40. Cost: The two operators of the factory were fined £400,000 for health and safety breaches. 1993 will be remembered as a year of tragedy for many in Thailand. The fire that destroyed the Kader Industrial Co. Ltd. factory became known as the worst industrial fire in the world. The three Kader factory buildings in Nakhon Pathom collapsed from the fire as a result of poor structural integrity. The Kader Toy Factory manufactured toys primarily to export to the United States. Toys were produced for Disney, Tyco, Toys-R-Us and other leading brands. The Kader facilities were built vertically so that a fire on the lower floor could quickly spread to upper floors and trap workers. On May 10 the fire began and alarms failed to sound. Damage: 188 people were killed and over 500 were seriously injured. Cost: The only legal recognition of Kader Industrial’s culpability was a fine of $15,700 in US dollars today.